My name is Andreia Da Silva. "So what was very good about the United States is that I could find Brazilian neighborhoods where I could get Brazilian food, I could go to good restaurants, I could go to Brazilian fast foods too, to Brazilian church and meet a lot of Brazilian people." Hi, my name is Andreia Da Silva. 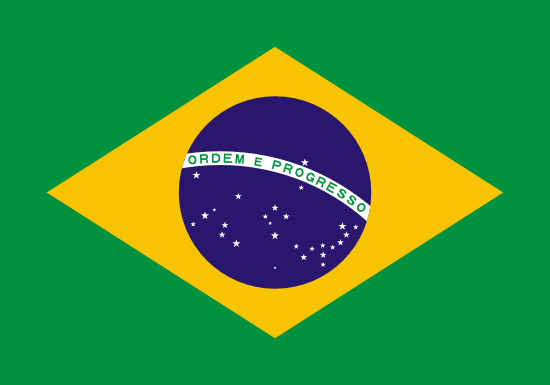 I’m from São Paulo, Brazil. I first arrived in the United States five years ago. I was visiting my boyfriend in Livingston, New Jersey. When I first got there, I thought it was a very quiet place, and I was wondering like where all the people went. And then I went to New York city, and the city was very lively. I saw there was like a lot of things to do, museums, art, a lot of attractions, broadway shows… and what caught my attention was the amount of people that were just like, walking on the streets. It was so busy, much more than São Paulo, where I’m from. And there was like a variety of different cultures, which made the city very interesting and attractive to me. What did you like about the community? I really missed Brazil. Like, especially the food, and the people, and the music. So what was very good about the United States is that I could find Brazilian neighborhoods where I could get Brazilian food, I could go to good restaurants, I could go to Brazilian fast foods too, to Brazilian church and meet a lot of Brazilian people. Because I haven’t been able to… to connect very much with the culture in the United States, so I still need my own culture to feel good about.